The 2016 Recanati Marawi. Note: the wine was given to me as a sample. Never heard of Marawi? You’re not alone. I’d wager most of the world hasn’t. I’m hoping this will change very soon. At the start of this year I had a wonderful opportunity to visit Israel on a press trip with the purpose of getting to know the country’s wine industry. 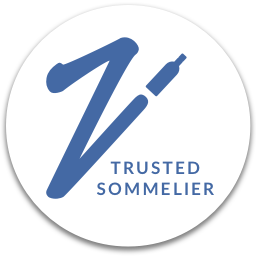 The trip was organized during the week of Sommelier 2018, the largest wine exposition in Israel. In addition to attending the convention, we visited quite a few wineries. Altogether, I estimate that I tasted wines from around 35 wineries and I was really impressed with what I tasted overall. Quick aside–if your mind is drifting to sweet Kiddish wines, stop right there. I’ll refer you to this previous post where I give a quick rundown on Kosher wines and why they’re probably not what you think they are. 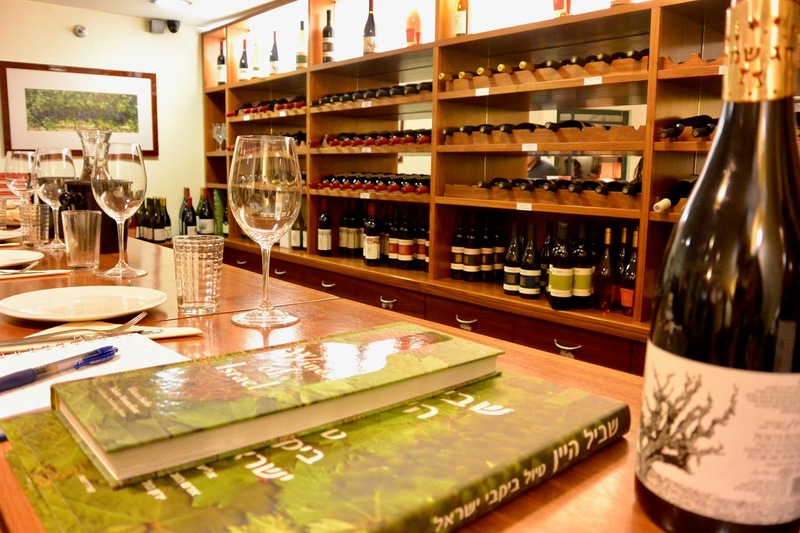 Moreover, not all Israeli wine is Kosher. A smattering of indigenous varieties were among the more intriguing things I had the opportunity to sample. As a wine geek, a new grape is always a little like catnip. Add the fact that grapes we’re talking about possibly date back to the time of King David! Many were then nearly wiped out during Ottoman rule. A few squeaked by, however, and are just being rediscovered. Result = Absolute Fascination. Research on these grapes is just beginning, and many are already really lovely. So much exciting potential! As you can probably imagine, I was not able to bring back all that many wines. One that did make it back was the 2016 Recanati Marawi Judean Hills. Recanati’s chief winemaker Gil Shatsberg–who trained at UC Davis–led us through a tour and tasting at the winery and told us all about this grape. 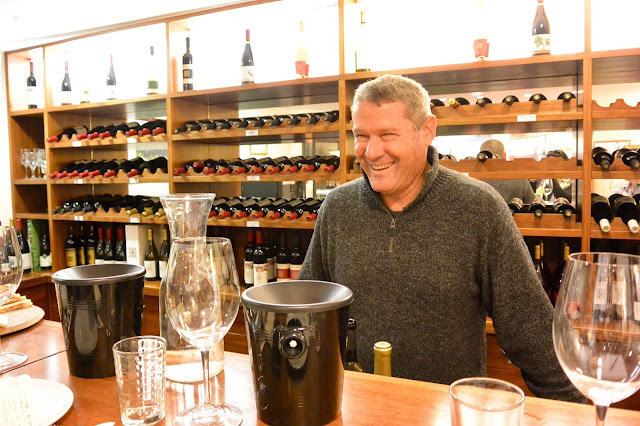 Gil Shatsberg, Recanati's chief winemaker. It’s likely that the reason Marawi survived Ottoman rule is because it is also eaten as a table grape. Recanati is among the first to revive it for winemaking. They became aware of it through the research of oenologist Elyashiv Drori of Ariel University, who is at the forefront of the exploration into the indigenous grapes of the region. (Incidentally, Drori is also a winemaker. His Gvaot wines were also impressive.) The variety was really compelling, however, finding the grapes to make the wine proved difficult. This is where the Marawi (aka Hamdani) story gets even more interesting. Shatsberg explained to us that when they finally located the grape, it was growing wild in the vineyard of a Palestinian grower near Bethlehem. They have since planted their own Marawi vineyards, but have also continued to source grapes from their Palestinian connection. That grower has chosen to remain anonymous for fear of repercussions. This is certainly a unique set of challenges under which to make a whine. However, the winery sees their Marawi, now in its third vintage, as pushing aside political strife to capture something more fundamental. 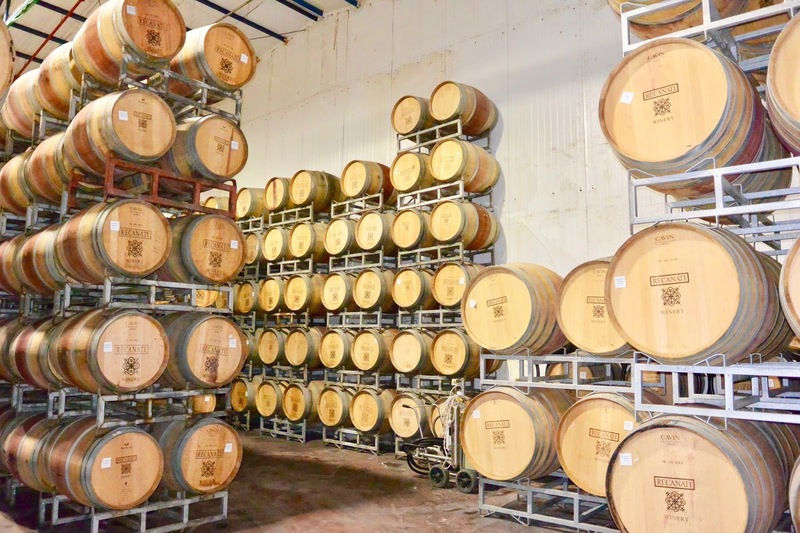 In a 2015 article for the New York Times by Jodi Rudoren, Recanati vintner Ido Lewison said he saw the wine as “clean and pure of any political influence.” He goes on to speak of the grapes: “These are not Israeli; they are not Palestinian. 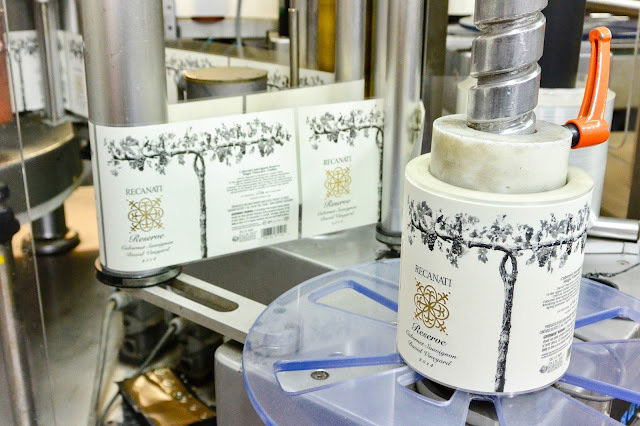 They belong to the region—this is something beautiful.” Keeping with this spirit, “Marawi” is listed in Hebrew, Arabic, and English on the bottle. So much idealism in one wine. This is where we'll have to leave the story for today. I'm traveling at the moment, and while we're having a great time, the internet situation is a bit lacking. Stay tuned for Part 2 to find out what this intriguing wine tastes like and about the pairing created to match it–Black Cod and Papaya-Cucumber Salad. I'll leave you with a couple of pictures to help tempt you back. I'll also leave you with a couple of pics from Recanati's winery. I was so excited when the Wine Pairing Weekend crew chose "Wines that start with the letter 'M' " for this month's topic, as it gave me the chance to talk about this wine. We meet on Twitter to discuss food and wine the second Saturday of every month at 11 am ET / 8 am PT. It’s easy to join in by following the hashtag #WinePW. Join us next month on June 9th . The topic will be Australian Wines for Summer Grilling and Gwendolyn (@ArtPredator) of winepredator.com is hosting. Quick post script: I always like to drop in links to the resources for posts, in addition to those that have already been linked to in the body of the post. I highly encourage you look through of a few of the articles here. While there has not yet been that much written on Marawi, the articles I did find are incredibly interesting. In addition, not too long after I got back from Israel, I was invited by the author of one of these articles, Peter Weltman, to attend a symposium on Bordeless Wines. With this movement, Peter is exploring the possibilities of buying wine as a form of activism. He focuses on wines like this one that have the potential to create inroads between groups, as well as those that create opportunities for communities. You can actually catch parts of the symposium on YouTube–catch it here. Color me intrigued, Nicole! I can't wait to track down Recanati wines! Thanks for the introduction. Definitely do! Really interesting wine! I will be anxiously awaiting part 2. Thanks Wendy -- hopefully today or tomorrow! Absolutely love the pairing! The cucumber-papaya salad sounds perfect for summer dinners - along with a glass of that wine. I’ve tried Hamdani blended with Jandali from Cremisan Cellars and really enjoyed it. Maybe I can find a bottle of Recanati here in NYC. Cheers! I've tried a couple of Cremisan Cellars' other wines but haven't tried the Hamdamni/Jandali blend yet, but definitely want to! Cucumber salad is just wonderful!